Discover a fun & inspiration by Daily, everyday with the Quote Widget App ! 5. Automatically update quotes on given time interval. 6. 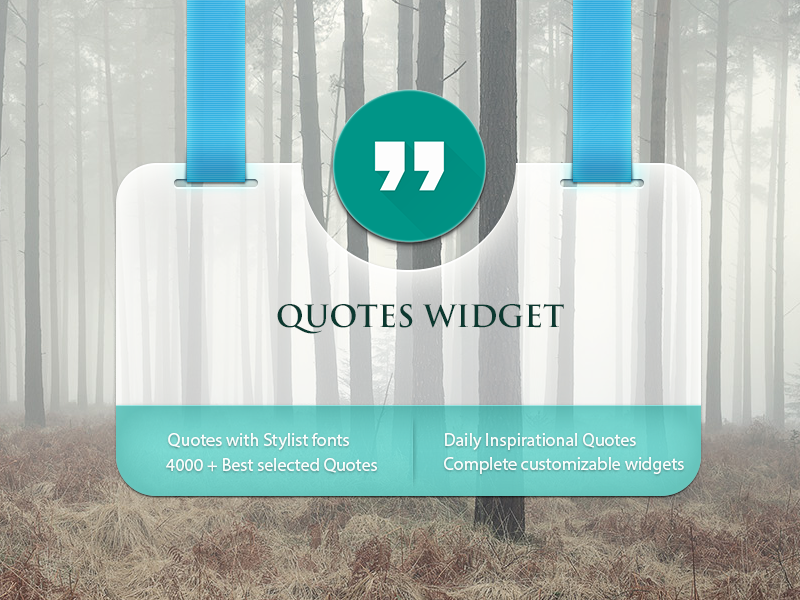 Select Custom fonts for quotes on the widgets. You have supreme words of Clear Thinking from some of the finest minds in history, such as Mahatma Gandhi, Confucius, Churchill, Martin Luther King, Dalai Lama among others, and customize and add multiple quote widgets on your home screen and lock screen. And, with that you can change background color, Font, Update Interval for each Widget any many more options. So if you’re looking for a glossy way to stay inspired, download this app and bring some fun and Inspiration to the palm of your hand by adding quotes widgets to your home screen and lock screen!